The award for one of the most wanted cities of America, the global leader in economy and the smartest city of 2016 and 2017 goes to New York. Well, it’s not surprising! New York is stealing the show by venturing into unprecedented smart city projects back to back. Let’s have a closer look at how exactly New York defines itself as a smart city. For New York, a precise definition of a ‘smart city’ is an ‘equitable city’ – a city where anyone and everyone has access to facilities justly. NY is a city with lots of challenges, opportunities, and innovations. The economic hub of the world is continuously engaged in digitising the city with smart innovations. 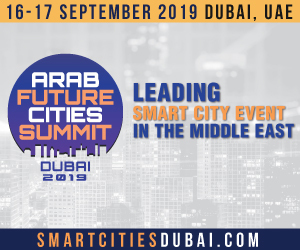 The city aims at setting up strategies and policies to successfully actualise the connected devices and internet of things(IoT). It is associating with the academic world and private sector to launch innovative pilot projects and collaborating with governments and organisations across the globe to share best practices and is taking advantage of the technological advancements conjointly. 1. 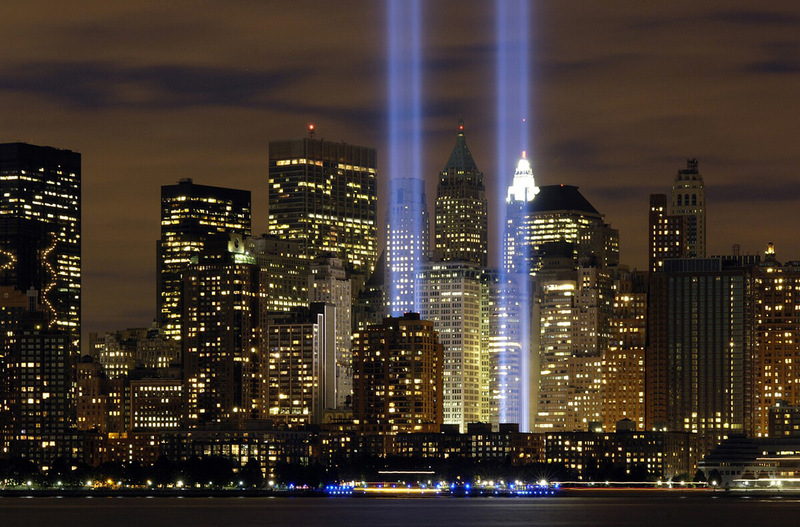 A revolutionary step undertaken by the New York is the establishment of Home-stat. It is an initiative where the city is trying to eradicate homelessness in individuals and helping them shift to permanent housing through proper approach. The Mayor’s Office of Operations Innovation and Design Team deployed a service design process to understand the client experiences and the important areas of the proceedings pertaining to it. Through the process, a stakeholder research is conducted which involves examining the actions of the service providers across the city and meeting the homeless as well as people who’ve gone through the homeless experience in the past. The Design Team developed ‘journey maps’ after reviewing and conducting research. These journey maps helped them in identifying the key areas required to be enhanced. For the same, the team along with the stakeholders enhanced the areas given due consideration and performed collaborative workshops and discussions for people’s welfare. 2. The number of pre-kindergartens in the city were increased significantly after the City Mayor Bill De Blasio was appointed as the Chief Innovations Officer in 2014. After Pre-kindergartens were expanded, authorities spread the word for enrollment deadlines by carrying out local meetings. Though a considerable effort was made by them, many of the families were facing problem in the application process itself. For, the typical process of sending application was by downloading the PDF of the application and sending via fax or handing it over in-person. However, 30% of the New Yorkers’ only tool for internet access was a mobile phone. Hence, the city required a ubiquitous solution to overcome this problem. For the same, a mobile app was created to ensure that every family is able to apply for pre-kindergarten. This app provides information on nearby pre-kindergarten centers and option to complete the application process through any kind of device. Due to this appreciable effort taken by the city, thousands of families were able to enroll their children for childhood education. Midtown in Motion – New York is the most populated city of USA. Yet, it has fairly managed to tackle the traffic by providing various transport networks. However, the increasing population and addiction to cars has led to road traffic congestion with severe gridlocks across the city. To overpower this situation, NY government initiated the ‘Midtown in Motion’ city project. This project proceeded with implementation of traffic sensors, cameras and EZ – Pass Readers. The advanced traffic controlling system accompanied with a gathering of real time traffic information resulted in a decrease of travel time by 10% in the city. LinkNYC – In 2014, the Mayor of New York City started a free ultra-high speed WiFi network program with a vision of connecting the entire city with free high-speed internet service. The city has begun installing 7,500 communication junctions where free WiFi network, cell phone charging and domestic phone calls facility is being laid. This historic initiative is called as the ‘LinkNYC’. City Bike – One more initiative that is helping in making the transport system equitable is the ‘City Bike’ program. The initiative features availability of hundreds of bike stations where thousands of bikes are lined up for 24/7 usage across the 5 boroughs for 365 days. 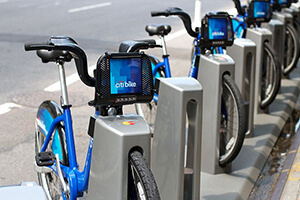 Moreover, the fleet is connected to an app which provides pedestrians all the information to let them use the bike from wherever and whenever required. For example, the app helps in finding out the nearest bike station along with a roadmap to reach the bike station. Plus, it also informs about how many bikes are available at a given time. This program has truly changed the way city is improving the transportation facilities by improving the lives of people. NYC Connected Communities – This government based program aims at providing access to computer centers in the places concentrated with poverty. Till date, more than 100 centers have been established which have enhanced the level of digital literacy and improved the quality of life by empowering employment opportunities. The digital centers are being offered at libraries, Parks, Recreation Centers, Computer Resource Centers(CRCs), senior citizen centers and New York City Housing Authority Centers. Quantified Community – 2014 witnessed an innovative collaboration between New York University’s Center for Urban Science and Progress (CUSP) and New York City’s Hudson Yards neighborhood to co-create the first ever community in the USA, the ‘Quantified Community’. The project will substantiate 17 million square feet of a residential and commercial area where data analysis of environmental idiosyncrasy will be taken into consideration. The data will be aggregated by tracking air quality, pedestrian traffic, energy production and consumption and health analysis on people. Educational institutions, hotels, public spaces, renewable energy based power plants and waste management systems will be constructed within the community. The initiative aims at accomplishing the goal by 2020. The Lowline – New York being a densely populated city calls for building up a smart city by using the little available space wisely. To meet this demand, the city is ready to welcome world’s first underground park. The project would deploy solar-powered technology to brighten the underground park. The sunlight will be redirected to reach the subway space through a glass shield. This will also promote the growth of plants in the park. Women Entrepreneurs NYC – This initiative was launched by the Department of Small Business services with a goal to link 5000 women to free training and business services. The project helps the women who do not have sufficient city services to become entrepreneurial. Mayor De Blasio office launched the first innovation lab in March 2017 in the Brownsville. This innovative step was taken to unite the tech companies, community members, government authorities, educators and private agencies to discuss and solve the city concerns by giving rise to a resonance that co-creates advanced technology. There are lots and lots of other smart city projects coming to life in the metropolitan city of New York which includes reduction of greenhouse gases, fair management of water and energy, smart protection of public health increasing mortality rate and tech-based plans to make the city safe and crime-free. What’s more important to note is, these smart initiatives clearly show that New York’s every move is human-centered. And that is why it is already leaving traces of being the ‘equitable city’. In fact, the city promotes smart city projects not just within the city or the nation, but it’s also enthusiastically encouraging and helping cities around the globe to become smart. Stay tuned to know more about the next smart city on the list.